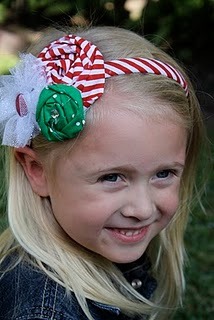 If you are visiting from the Holiday Home Linky Party or Get Your Craft On- welcome! See more Christmas crafts here. And even more crafts here. 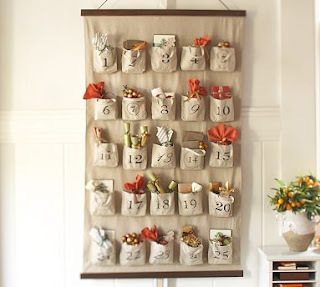 I love the look of this burlap advent calendar from Pottery Barn. It goes perfectly with my burlap stockings and neutral Christmas mantle. But the $99 price tag was a bit much! 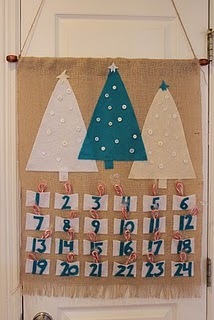 So I decided to craft my own calendar out of burlap, and use my 'pop' color- turquoise. I bought one yard of burlap from JoAnn's for $2.99. Then I bought 6 pieces of felt (.29 each) in white, ivory, and turquoise. And I decided to do absolutely no sewing on this project. Glue gun only! I folded over the top about 2 inches to make a nice rolled-hem. And I hot-glued it down. On the bottom, I unraveled the burlap a bit to make a fringe. The Christmas trees are made from one piece of felt each. I simply folded the felt and cut out a triangle. Then I added a stump and little felt star to the tops. 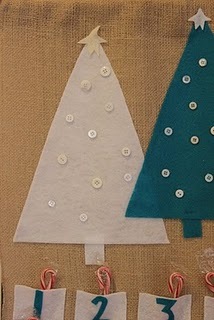 White, clear and ivory buttons were glued on as 'ornaments'. 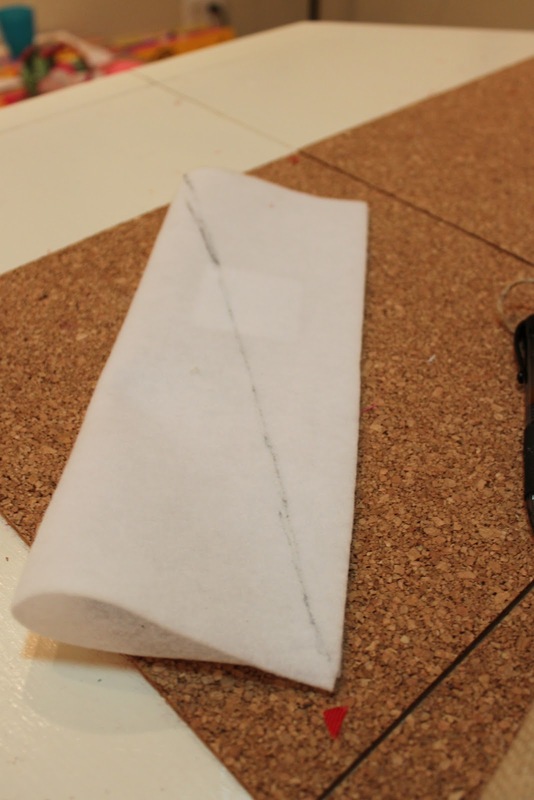 For the little pockets, I just horizontally divided a piece of felt into three equal strips. Then I cut each of those strips into sixths. This gave me 18 pockets. So I did the same again on another piece of felt- only using one strip- to give me a total of 24 pockets. I ran a dowel rod through the top and then tied sisal twine to make the hanger. The pockets are the perfect size for sweets, miniature ornaments, stickers etc . I slip candy canes and little cards inside. The cards are only on 'special days'- to alert my girls of fun Christmas activities such as "Christmas Parade", "Breakfast with Santa", or "Making Cookies with Grammy". A fun way to count down the days til Christmas! Thanks for stopping by! See all my Christmas creations by clicking here and here. Subscribe to Crafty Texas Girls for more crafts, birthday party ideas, home decor, and fabulous handmade children's gifts. That looks so easy! Very cute!! Very cute. I love using burlap in crafts.